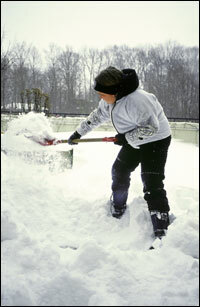 Don’t get Caught Holding the Shovel next Winter — Install a Radiant Snow Melting System and Beat the Rush! 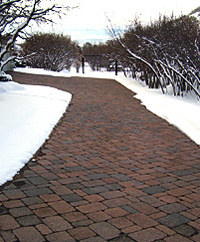 With summer just around the corner, it’s a good time to spring for a new radiant heated driveway or walkway. Buying and installing your radiant heated snow melting system early in the summer puts you at a distinct advantage. In the fall, contractors generally rush to get their projects done before winter, and their availability is limited. Hiring someone now could save you the heartache of putting off that heated driveway or walkway project for another season. Shopping contractors before the fall rush also allows you to take your time interviewing and selecting a professional. Whether you’re pouring a new concrete or repairing existing pavement, radiant heat installation is an excellent way to enhance, preserve and protect your driveway or walkway from harsh snow melting chemicals or damage from snow removal equipment. It’s a smart home investment that not only preserves and protects your property, but can also prevent slip and fall accidents, as well as injury from shoveling. 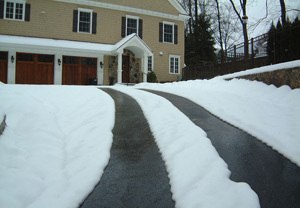 Snow melting systems can also save you the time, and over time, the added expense of hiring a contractor to plow your driveway. With radiant heated driveways and walkways, you get “on-demand” snow removal, and the opportunity to experience dry pavement all year round. And the systems operate silently on renewable energy and are fully automated. As you shop, be leery of the contractor who offers limited solutions that come with a high price tag. 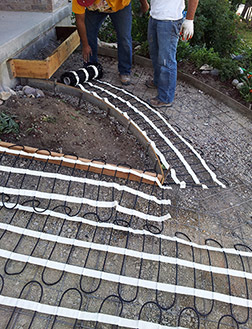 Radiant heat applications are extremely flexible and adaptable, offering homeowners many options to achieve their goals. 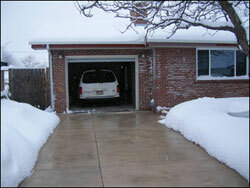 You don’t have to tear up your entire driveway to enjoy the benefits of radiant heat. Rolling out pre-configured mats on top of an asphalt driveway and applying a new layer of asphalt over the cable, or cutting grooves in concrete for the heat cable (which are then filled with an epoxy) are just some of the ways to get around a new heated driveway installation. To help you sort out your options you may also want to consider contacting Warmzone for a free snow melting system estimate. They have the knowledge and the know-how to put together a snow melting solution that will meet or even beat your performance and budgetary requirements. Partnering with professional installers across the country, Warmzone works diligently to come up with solutions for the most discriminating customers. As they say, knowledge is power, and getting initial estimates from Warmzone before you shop can help you identify all of your options, and the right person for the job, to avoid the “sticker shock” that comes with choosing the wrong one. And remember, a radiant heat system is only as good as its installation, and Warmzone can recommend experienced, reputable installers in your area. Among the many home improvement projects on your to-do list, a radiant heated snow melting system is the gift that just keeps on giving from the moment you see that first snowflake fall. 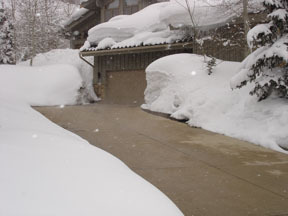 Winter may seem a long way off, but the window for hiring a contractor to install your snow melting system is small. Whether you lack the motivation or need more information, it’s always a good idea to give Warmzone a call at 888.488.9276 for free professional advice and support.